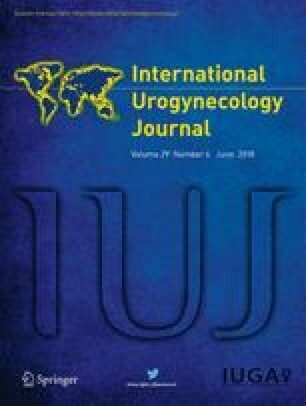 Innovations in suturing devices have facilitated sacrospinous ligament fixation (SSF) for the correction of vaginal vault prolapse. It is uncertain if outcomes using suturing devices differ from those using a traditional suturing technique. We hypothesize that no difference exists in the efficacy and safety 1 year after SSF for vault prolapse performed with suturing devices or using a traditional technique. The objective was to compare SSF using a suturing device with traditional SSF for the treatment of vault prolapse, regarding symptoms of prolapse recurrence, patient satisfaction, incidence of re-operation, and complications 1 year postoperatively. We carried out a retrospective cohort study using register-based national data from 2006 to 2013. The Swedish Quality Register of Gynecological Surgery includes assessments pre-operatively, at hospital admittance, surgery, discharge, and questionnaires at 8 weeks and 1 year after surgery. Demographic variables and surgical methods were included in multivariate logistic regression analyses. In the suturing device group (SDG, n = 353), 71.5% were asymptomatic of recurrence after 1 year compared with 78.7% in the traditional SSF group (TSG, n = 195); risk difference − 7.3% (95%CI −15.2%; 0.7%). Adjusted odds ratio (aOR) for being asymptomatic 1 year postoperatively was 0.56 (95%CI 0.31; 1.02, p = 0.057). Patient satisfaction was similar in SDG and TSG (78.1% vs 78.4%). Reoperation occurred in 7.4% in the SDG compared with 3.6% in the TSG, risk difference 3.8% (95%CI 0.0%; 7.5%), aOR 3.55 (95%CI 1.10; 11.44, p = 0.03). Patient satisfaction was similar 1 year after SSF, despite symptoms of recurrence being more likely and reoperation more common after using a suturing device compared with a traditional technique. The methods did not differ with regard to surgical complications. We acknowledge Anders Pehrsson, from Statistiska Konsultgruppen, for help with statistical calculations, and Birgitta Renström, from the GynOp register, for help with extraction of data. The study has received funds from Sweden’s Municipal and County Councils as part of their investment in research related to quality registers. Approval of the study was obtained from the local ethics committee of Gothenburg, 18 June 2014, Dnr 333–14. http://www.gynop.org. Antal sakrospinosusfixationer i Sverige Umeå: Norrlands Universitetssjukhus; 2014 [Report]. Available from: http://www.gynop.org.